New PYT hair styling tool! Soooo… I went christmas shopping today for my last gifts I had to get…. and I came home with a $200 straightener for myself…. But I got a 50% off deal for it! It was awesome. 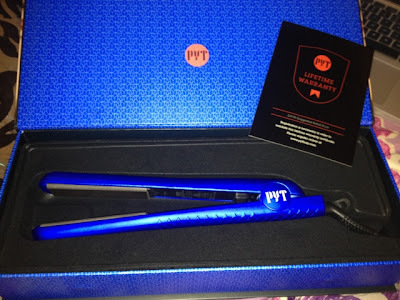 I got dragged in to see how my hair would look and the sales person Chelsea showed me a comparison of this new PYT hair straightener with the Chi straightener, and this PYT made it so much smoother and silkier. I automatically fell in love. 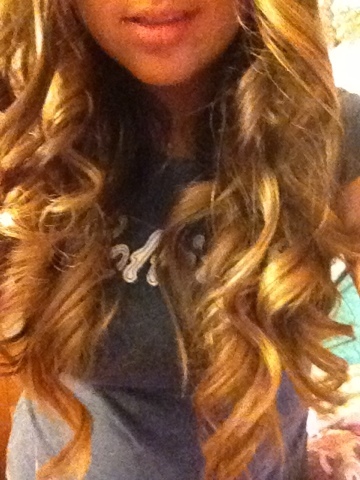 Especially since I highlighted my hair with the ombre, I feel like the ends of my hair are very dry. This took care of it! Chelsea then went on to start curling my hair with this iron, and she curled my entire head of hair (that will take me 1hr with a traditional curling iron or curling wand) in about 10 minutes! and the curls last (see picture below!) The curls look really great as well. The original price she was trying to sell me at was $140, and then I got her to give me a better deal if I said I would tell people about it. I got it in this electric blue color, and its just amazing. I’m wearing my hair out like this tonight, and hoping it stays all night, without hairspray! (they guaranteed me they would last all night…). Also, they said I can go get my hair styled by them 5 times for free. So going there to get my hair done for new years eve! Well anyway, thought I’d blog about this new buy… and I am no longer buying anything for myself for a while (or so I tell myself!). This Straightener/styling tool is on sale at the Pheasant Lane Mall in Nashua, NH, or at any PYT authorized seller. For more info, check out pythair.com 🙂 I highly recommend it. PS. 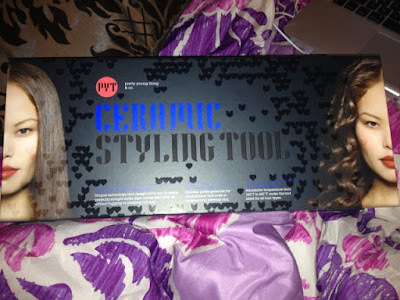 I paid for this styling tool, I was not given anything except for a slight discount to blog about it! Next Post Holiday Party outfits!